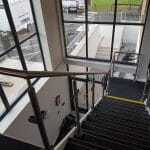 Frameless Glass Curtains provides a range of other frameless glazing options for the home or commercial buildings. 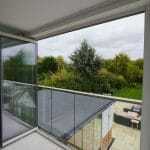 Our frameless and aluminium products meet specific glazing, safety barrier and general home improvement requirements. They also complement our range of frameless doors and windows. 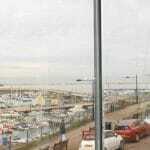 Frameless or aluminium home improvement glazing solutions. 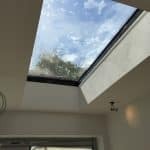 For new extensions, our range of lantern roofs, skylights and rooflights add even more light, space and value to your property. 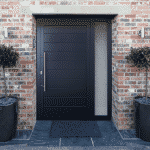 You can transform the front of your home with our premium aluminium front doors. Elegant, contemporary and incredibly secure as well. Our balcony enclosures take the single or double glazed frameless slide and fold door concept and transform your balcony area into a more functional space. Close off your balcony in the winter to create a room with a view or open up in the summer to enjoy your balcony and outdoor living. Contact us today for further information and a free quotation. We craft our bespoke range of frameless and aluminium products from the finest materials in our Kent factory. 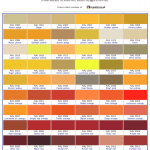 Our trained and professional installers fit these in your home or commercial building. Contact us today to discuss your project and requirements and speak to one of our team.